By default, direct line managers and all admin users receive holiday requests for their staff. It is possible to define additional members of staff as holiday approvers, even if they are not managers or admins. To do so, navigate to your company settings. Go to the holidays tab. Once there, be sure to tick the box to allow managers and holiday approvers to see all holidays in the calendar if you have blocked staff from being able to see other users' holidays in the calendar. 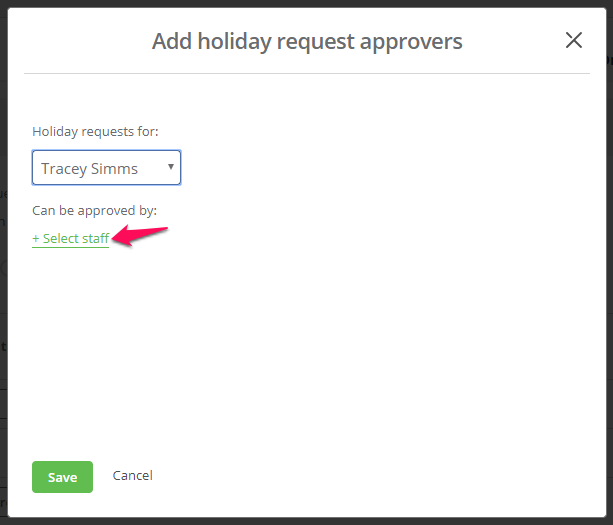 Turn on allow additional staff and groups to approve holidays requests. 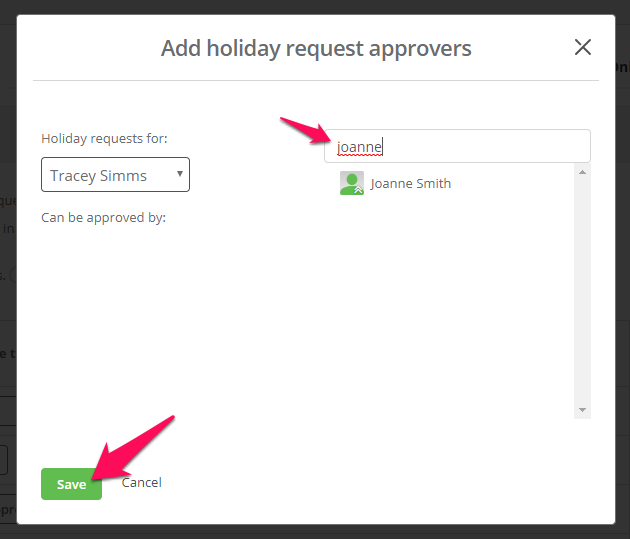 This will prompt a new screen to appear which will allow you to add holiday request approvers. 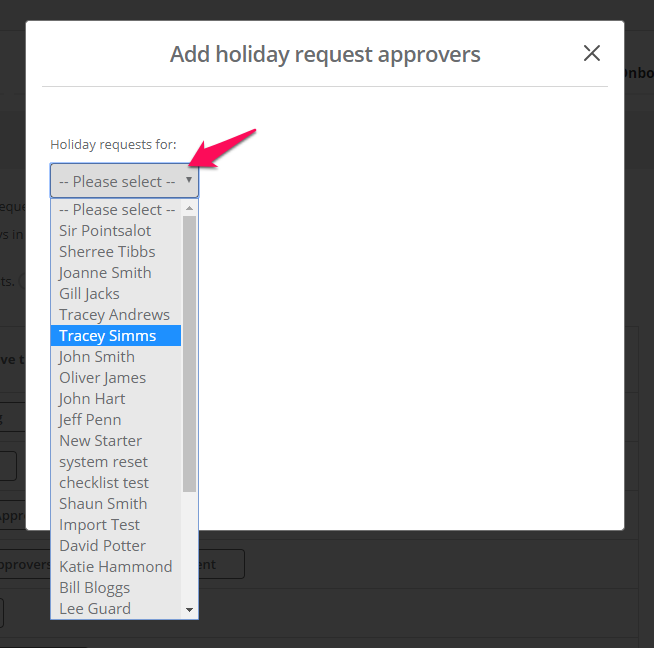 From the holiday requests for drop-down field, select the name of the user who you would like to assign a holiday approver(s) to. Then, click + select staff. A list of staff and staff groups will appear. Scroll through to select the user(s) who you would like to assign as holiday request approver(s). Alternatively, search for them using the search bar at the top. Once you have chosen all users required, click save. You will be taken back to the main screen where a notification confirming approvers updated successfully will appear at the top of the screen. You will notice that the new approver group will appear. The user/s in the group will then receive all holiday requests for that person moving forward. NB: Managers and Admin users will not be affected by this setting. You can edit these groups at any time by hovering over the group in question. Click the edit button that appears to add or remove approvers from this group. 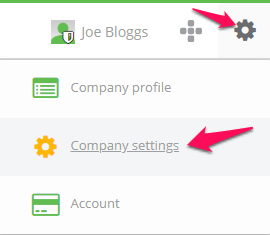 To delete an approver group, click the refresh icon that appears next to the edit button. This will prompt a new screen to appear. Click update to restore holiday approvers for the staff member to just their line managers and admin users.